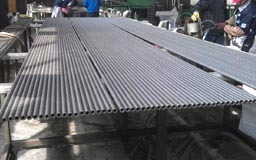 Numax Steels is the one of the most leading manufacturer, exporter, importers and supplier of industrial Alloy Steel Pipes & Tubes in different grades, lengths and thickness. These are produced by using pioneering techniques and handpicked grade of raw materials. We make sure that our experienced professionals use high-grade raw material for fabricating these products. 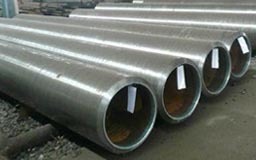 These Pipe and Tubes shall be appropriate for flanging (vanstoning), bending, for fusion welding and similar forming operations. The nickel content makes INCO alloy 20 resistant to chloride-ion stress-corrosion cracking. Copper and molybdenum give resistance to reducing environments. 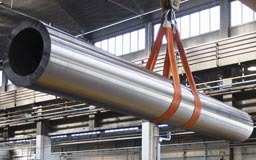 The molybdenum content also provides good resistance to pitting and crevice corrosion. Algeria, Peru, Africa, United States, Bulawayo, Omdurman, Lebanon, Kampala, Morocco, Pretoria, Kaduna, Conakry, Dubai, Freetown, Maputo, Oman, Sri Lanka, UAE, Colombia, Zaria, Cyprus, Khartoum, Jordan, Cameroon, Abu Dhabi, Ibadan, Azerbaijan, Malaysia, Douala, Durban, Tripoli, Australia, Russia, Qatar, Hong Kong, Kuwait, Democratic Republic of the Congo, UK, Vietnam, Indonesia, Brazzaville, Ghana, Kinshasa, Kazakhstan, Luanda, Subra al-Haymah, Mbuji-Mayi, Mogadishu, Soweto, Kano, Singapore, Sudan, Port Elizabeth, Houston, New York, Addis Ababa, Accra, Fez, Ouagadougou, Italy, Ethiopa, Mozambique, Germany, Venezuela, Argentina, Kolwezi, Brazil, Cape Town, Maiduguri, Algiers, Johannesburg, Trinidad and Tobago, Israel, New Zealand, Yaoundé, Tunisia, Turkey, Harare, Lagos, Iran, Nairobi, Dakar, Giza, Angola, Benin, Cairo, Abidjan, Rabat, Casablanca, Port Harcourt, Alexandria, Mexico, Dar es Salaam, South Africa, Yemen, Canada, Antananarivo, Lubumbashi, London, Thailand (Bangkok), Colombo, Nigeria, Chine, Iraq, Bamako, Egypt, Bahrain, Saudi Arabia, Uganda. Lagos, Mizoram, Jordan, Ambala, Oman, Udgir, Ethiopa, Algeria, Subra al-Haymah, Port Harcourt, Freetown, Tripura, Mumbai, Cyprus, Jamalpur, Tripoli, Dakar, Pune, Baraut, Maiduguri, Kolwezi, Yaoundé, Durban, Betul, Yemen, Maputo, Muktsar, Lubumbashi, Ahmedabad, Conakry, Lebanon, Bangalore, Suryapet, Kinshasa, Russia, India, Pretoria, Sadar, Cairo, Abidjan, Soweto, Ghana, Abu Dhabi, Zaria, Bansberia, Port Elizabeth, Surat, Bhiwadi, Omdurman, Democratic Republic of the Congo, Ballia, Maharashtra, Lucknow, Casablanca, Douala, Puducherry, Kaduna, Mozambique, Johannesburg, Fez, Hyderabad, Bulawayo, Kerala, Morocco, Dar es Salaam, Bamako, Antananarivo, Algiers, Qatar, Rabat, Kampala, Nagapattinam, Accra, Uganda, Kolkata, Miryalaguda, Singapore, Mogadishu, Cape Town, Chennai, Nairobi, Thailand (Bangkok), Benin, Manipur, Addis Ababa, Delhi, Venezuela, Ibadan, Giza, Angola, New York, Tadepalligudem, Harare, Alexandria, Luanda, Brazzaville, Benin, Ouagadougou, Cameroon, Jaipur, Karnataka, Mbuji-Mayi, Colombo, Hong Kong, Bundi, Kano, Andhra Pradesh, Buxar, Khartoum.